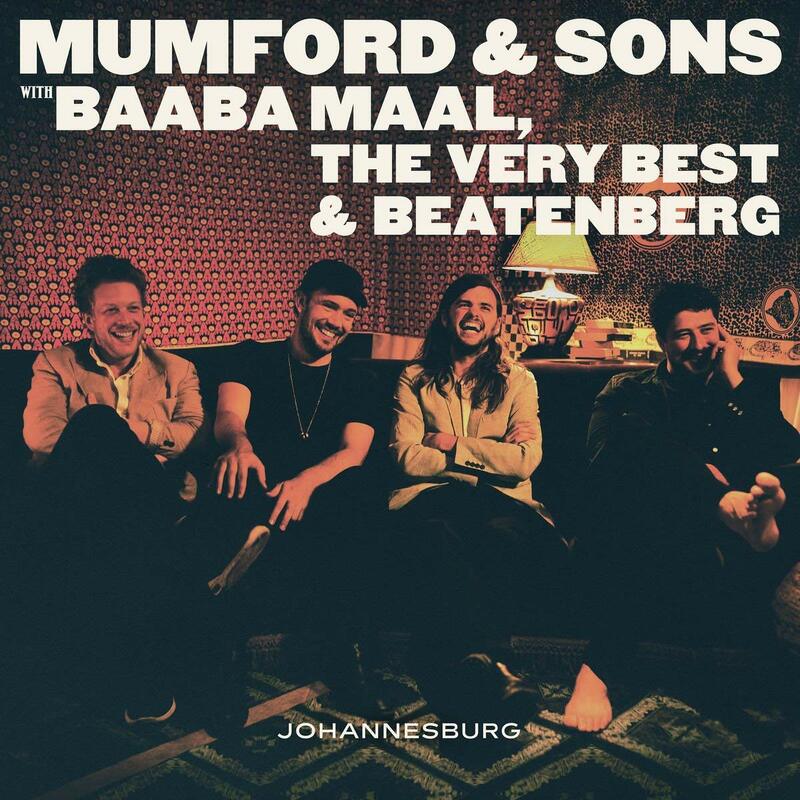 “Johannesburg,” Mumford & Sons’ collaboration with Baaba Maal, Beatenberg and The Very Best, is a unique and standout collaboration of sound and culture. Since 2009, Mumford & Sons have been shaking up the music scene, bringing together people from all genres for a folkin’ good time and a love of banjo. But, like many musicians, as time progressed, so did their sound. What started off as purely indie-folk, turned into something more alternative, the band utilizing more electric guitar and less banjo. For some, this change was exciting, for others it was disappointing. However, one truth remains the same, and it’s that the members of Mumford & Sons always make it a point to go big, both lyrically and musically. Though their last official album was 2015’s Wilder Mind, the group surprised listeners everywhere in 2016 with the release of a “mini-album” in collaboration with Senegalese singer Baaba Maal, Afropop- electronic duo The Very Best, and South African pop trio Beatenberg. Johannesburg (released 6/17/16 via Glassnote Entertainment Group) is the title of this five-song collection, rightfully named after South Africa’s largest city, where the project was conceived and recorded “over two all-day-and-all-night sessions.” Produced by the members of Mumford & Sons and Johan Hugo of The Very Best, the collection was inspired simply by travel. Of course, critics were quick to do what they do best: criticize. The mini-album wasn’t received well by the media, receiving a 5/10 rating by SPIN and a 2.5 star rating from Rolling Stone. 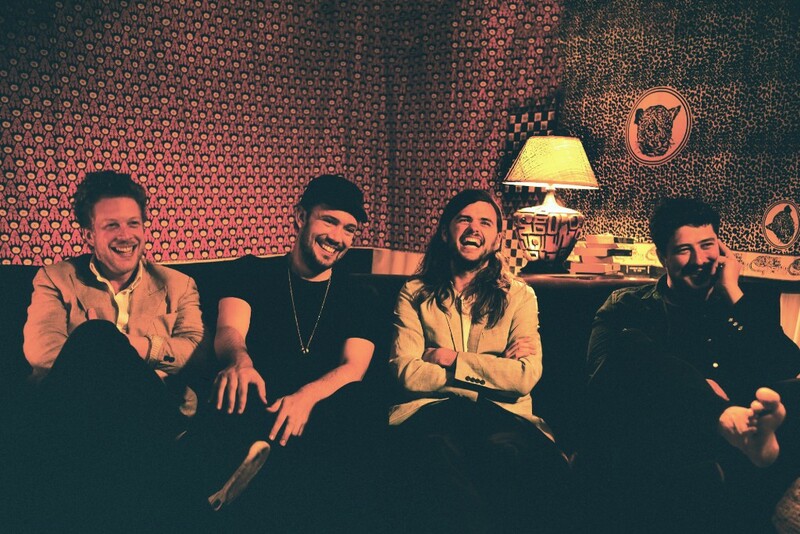 Critics felt that the collection felt forced, that the mini-album’s South African influences weren’t properly integrated into the overall pop sound being created by Mumford & Sons. Of course, anyone can say what they will, but when I listen to Johannesburg, I don’t feel a forceful connection; in fact, I get happy off the anthemic highs, and become intrigued by the African drums and Baaba Maal’s powerful vocals. The album’s single, “There Will Be Time,” is the first track of this collection, and serves as a powerful opener. As Baaba Maal sings in the Pulaar language in his first two verses, listeners have no choice but to allow themselves to get lost in the music itself and the overall feeling being provided. To say that this song is conventionally pop would be a huge misunderstanding. Baaba Maal’s vocals soar, and the music underneath him is fast-paced and earthy. You can feel the energy of the musicians and performers present, as I’m sure most, if not all, are necessary to play each of the many instruments in use in this arrangement. As Baaba Maal sings his bridge, which is a reference to Ecclesiastes 3:1-8 (a popular Bible verse), African drums and electric guitar push him onward and bring weight to the words being sung. This song paints love in a way we rarely see it. This isn’t sad, and it’s not simply happy: this song contains a certain wonderment towards love, setting it apart as something almost divine. The second track, “Wona,” is something more stereotypically pop-y, though the use of Baaba Maal, The Very Best and Beatenburg help bring listeners in and out of this genre we think we know. This pop feel carries over into track 3, “Fool You’ve Landed,” which is the only song on the album that doesn’t contain Baaba Maal’s vocals. This song is very free-flowing and uplifting and while not as transportive as tracks 1, 4 or 5, it serves as a very grounding track and illustrates just what it is this project is trying to do, which is integrate several cultures and influences into one whole collection. Not everything is going to feel overly South African or folk-y: it’s okay to fall into this delightful middle-ground. Baaba Maal also lends his vocals for the fourth track, “Ngamila,” which is sung in three different languages: Baaba Maal in Pulaar, The Very Best in Chichewa, and Marcus Mumford in English. The song feels lighthearted and open, and the use of the Wilder Mind-esque instrumentation against the variety of languages, to me, shows a healthy and interesting integration of the cultures and genres present. Baaba Maal, again with the help of The Very Best, closes out the mini-album with “Si Tu Veux,” which again, shifts back and forth between Baaba Maal singing in Pulaar and The Very Best in Chichewa. This track, unlike the opener, is very serene and calm; however, it remains soaring and spatial, and again, forces the listeners to get lost in the music and the feeling, rather than trying to rely on lyrics to form their opinion. Some might argue that my lack of knowledge of and experience with South African music plays a large role in why I love this mini-album so much, but I’d like to think that it does the opposite. It was fun getting to experience, what I saw as, a true blending of culture and influence, each song sounding so different than the last yet fitting so perfectly together as one cohesive unit. Maybe things did fall flat, again, who am I to know? What should truly stand out above all else is the idea that an idea was born, and these artists took the little time they had to create something unique and uplifting. I find joy in this mini-album, and hope others do the same.